Congratulations to PAPA’s 2019 Scholastic award-winning artists! 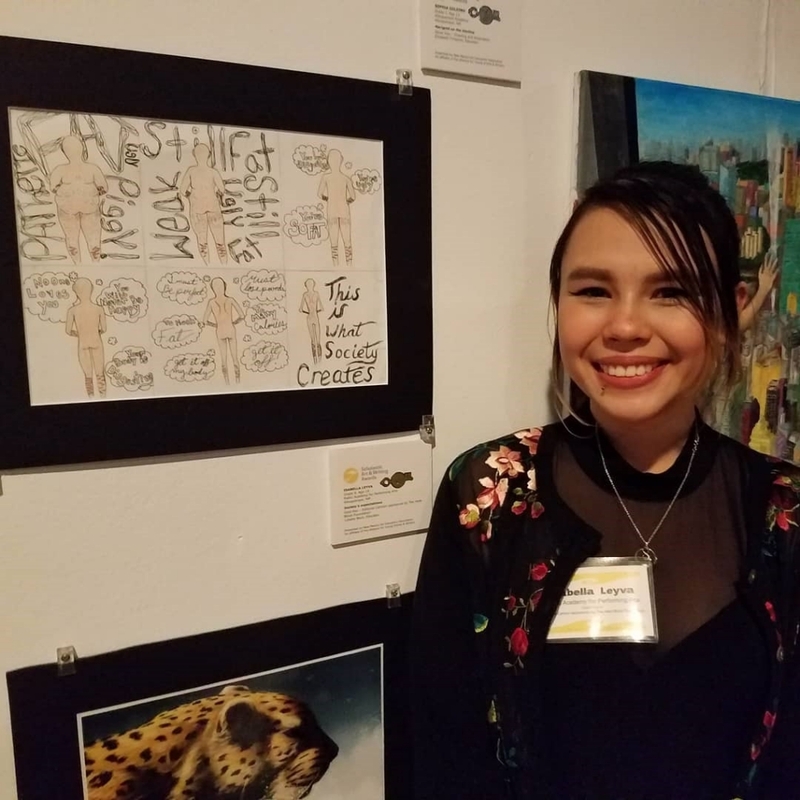 Photos below are of Jada, Isa, and Olivia at the 2019 NM Scholastic Art Award Ceremony on March 23, 2019. Isa Leyva won a Gold Key for Editorial Cartoon. Jada Doney-Lang won a Silver Key for Digital Art. 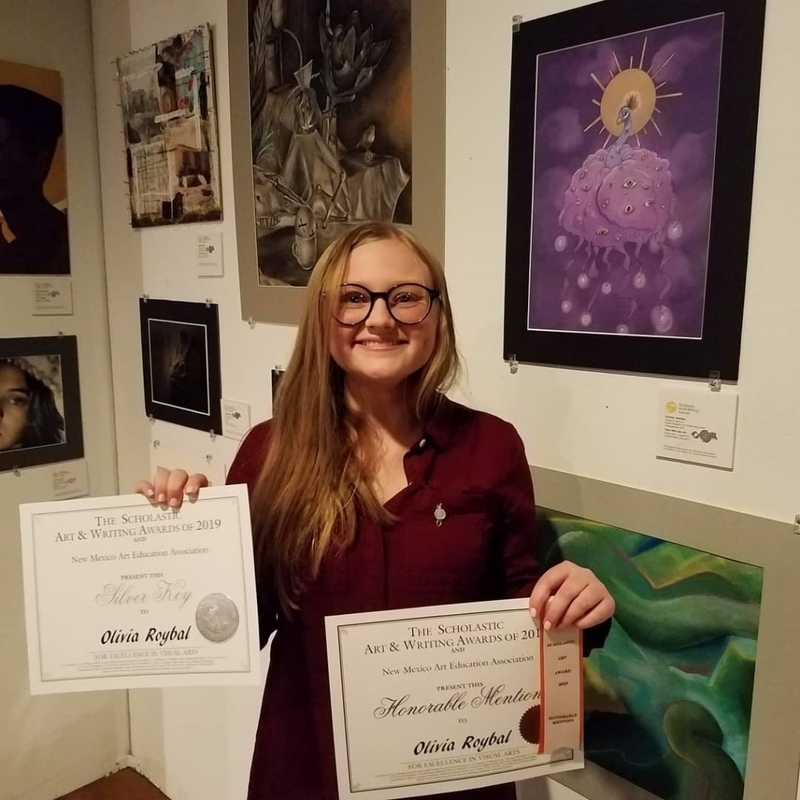 Olivia Roybal won a Silver Key for Digital Art and an Honorable Mention for Digital Art. 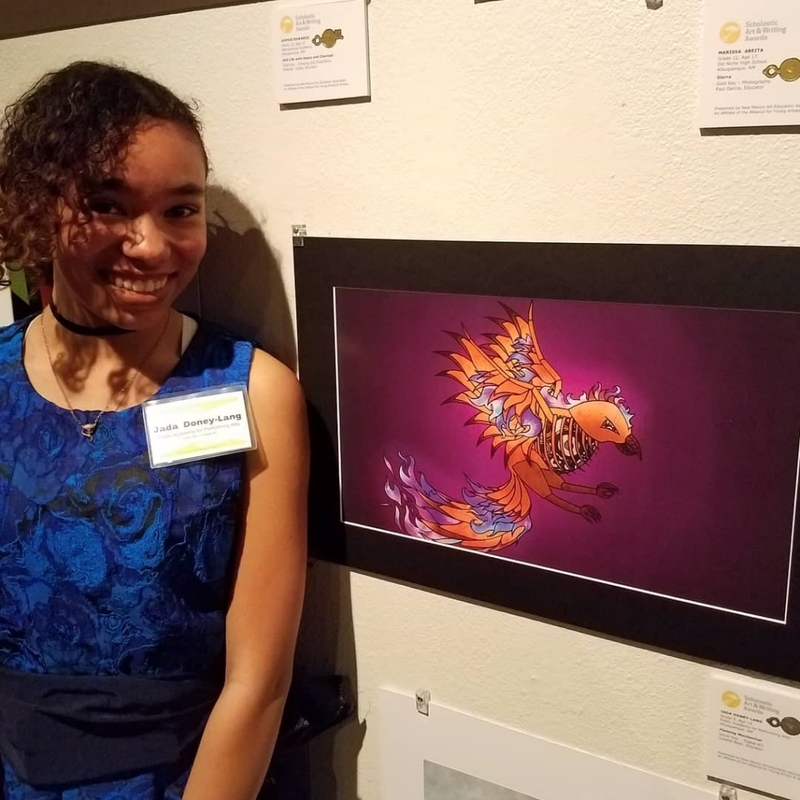 Former PAPA student Alex Roche (not pictured) won a Gold Key for Comic Art AND a NMAEA President’s Choice Award of Excellence in Art. Thank you to Warehouse 508 for hosting the Scholastic Art Awards. Thanks to NMAEA and Nikki Turman for all their work and dedication to honoring student achievement in art.